Holmeswood L40 Steam & Dry Carpet & Rug Cleaning Company | Quality Property Care Ltd.
Use this phone number 0151 673 0008 do reach our qualified rug cleaning customer support specialists. They are available for your requests! Organise the deep carpet cleaning assistance right now - it is appropriate for commercial and domestic properties as well! The company constantly invests a lot of assets into getting the most efficient, latest and safest carpet cleaning systems. The cleaners are also frequently being coached to safely and properly use them, and to deal with a variety of spills and materials. Quality Property Care Ltd. provides deep rug cleaning to remove all residue, stains, dirt and allergens and to kill all the germs in your carpets and rugs. 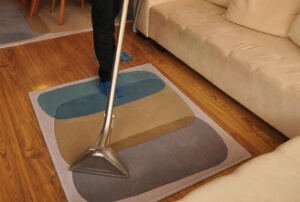 The professional carpet and rug cleaning is performed by: hoovering, followed by steam carpet cleaning and highly efficient hot water extraction which takes away all excess water from the carpet or rug. For precious rugs or rugs which cannot be cleaned with water, the firm delivers rug cleaning and dry foam cleaning to safely remove the dirt and restore the charm of your rugs. The services offered are appropriate for commercial and domestic properties as well. The modern rug cleaning Holmeswood L40 approaches are now affordable and accessible! If you want to book a carpet or rug cleaning service, all you need to do is get in touch with the client care line at 0151 673 0008, or use the on-line booking form right here. You will get written verification as a sms message and an e-mail. No first deposit is necessary for booking. You will receive a serious discount of the professional cleaning cost, if you choose to book more than one cleaning service at a time! Call or send the booking form now! Same day booking is available, if you are in a rush too!